At Retrievers of Millbach, we pride ourselves on having very social, loving and playful Labrador Retrievers. All of our dogs and puppies are raised with the utmost love and attention. We strive to have the best bred puppies with AKC. Our adult dogs have excellent pedigrees and are OFA Hip and Elbow certified or Penn Hip Certified, as well as OFA Eye and Heart Certified. 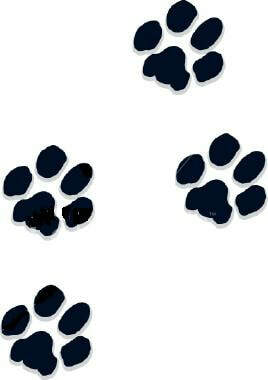 Our puppies will have their dewclaws removed between 3 and 5 days of age. They will have their parvovirus vaccine at 6 weeks and visitation will also be held at this time. At 8 weeks of age, the puppies will be Vet examined, have their distemper vaccine and be micro chipped. The puppies are also given dewormings at 2 week intervals from birth to eight weeks old, to help remove and prevent internal and external parasites. At the age of six weeks old, the puppies will receive their parvovirus vaccine, and they can then be introduced to the world around them, including their new families. I invite all prospective puppy parents to visit the puppies during the designated visitation weekend. This visitation allows you to meet the puppies and see their various personalities, meet their parents, and choose a puppy that best fits you and your family. Note: If a prospective puppy parent or family is unable to attend the given visitation weekend, they will be required to choose by photos and/or video within 24 hours of visitation weekend. If a puppy is not chosen during this time frame (for any prospective puppy parent or family), the prospective puppy parent forfeits their right to choose and will be placed last on the list. Please understand I am trying to accommodate everyone on the puppy list and make the puppy choosing an enjoyable experience for all. -Thank you for everyone's cooperation. Please contact us if you would like to be placed on our waiting list for current or upcoming litters! 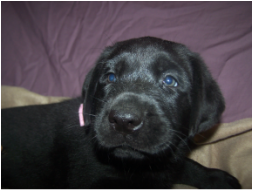 We do require a $250.00 Non-refundable deposit for all AKC Labrador Puppies; including Fox Red, Chocolate, Black and Yellow Labrador puppies. This deposit reserves a place on the waiting list, and we will contact families in the order of our waiting list. For deposits, we accept, Cash, Cashier's Check (from your bank), Paypal (3% additional fee), or personal check. If sending check, please include a note with your contact information. Please Note: The entire remaining balance is due at the time our puppies leave to go home with their new families. We accept Cash and Cashier's Check (from your Bank) We do accept Checks, but we must receive your check two (2) weeks prior to puppy pick-up. 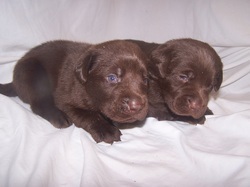 If you are on the waitlist and a puppy is not available for you, we will move you to our next litter's waiting list. Please Click the "Policies" button to the right for more information on our policies and procedures. We reserve the right to keep a puppy of our choice out of any litter.